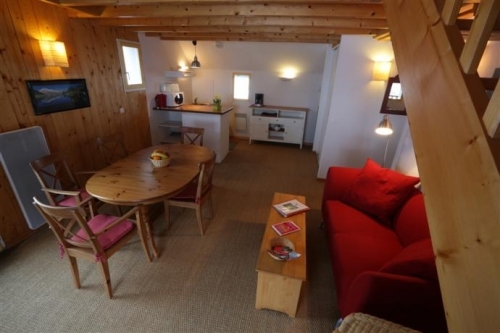 Le Domaine de Ramonjuan Apartments are cosy and comfortable, with a relaxed and friendly atmosphere located in the beautiful Lesponne valley just a short drive from of La Mongie/Grand Tourmalet, the largest ski resort in the Pyrenees. 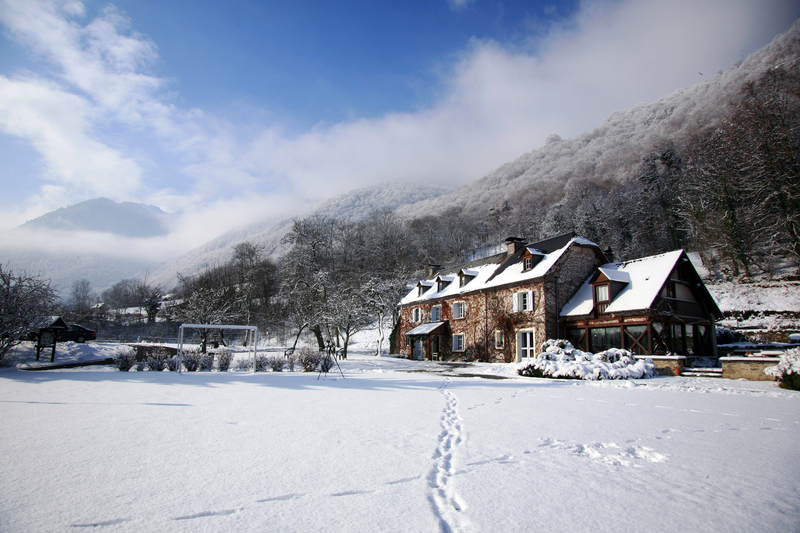 If you're looking for a serene setting, surrounded by nature, then look no further than the warm and welcoming Domaine de Ramonjuan. Situated in the pretty Lesponne Valley near the rushing Ardour Adour River these self-contained apartments offer a comfortable setting in a relaxed and friendly atmosphere. The apartments are cosy and comfortable, well-equipped with modern conveniences and some come with a private balcony or terrace. The knowledgeable and friendly owners, Isabelle and Dominique are passionate about the area and are eager to help guests with any queries or requests in order to make your stay at the Domaine de Ramonjuan as comfortable as possible. After a day skiing or boarding in the nearby resort of Grand Tourmalet – the largest in the Pyrenees – you can return to this haven of tranquillity and enjoy a warming drink around the traditional fireplace in the lounge bar. The evening meals are something to savour – promoting regional specialities conjured from local produce which are a delight to feast upon with the eyes as well as the mouth. Winter walks surrounded by mountain peaks and beside rushing rivers are a short stroll away where great views are to be had of the Bond-like villain hideaway of the Pic du Midi Observatory which seems to perch perilously above the valley below. A night of star gazing at the Pic du Midi, is a must and the morning sunrise is unforgettable with a private panorama of the Pyrenees at your feet. The main facilities are located in the onsite hotel (the Farmhouse) and include “the Grill” – a modern wood and glass building overlooking the grounds and the evening dining room and the chimney salon. The Old granary has been lovingly restored to house a small gym, pool table and games room and a meeting room – ideal for fun and games for all the family during the long winter evenings. Facilities at Domaine de Ramonjuan include: Wi-Fi internet access in all apartments, small gym, billiard room, games room (table tennis and table football) meeting room & free outdoor car park. 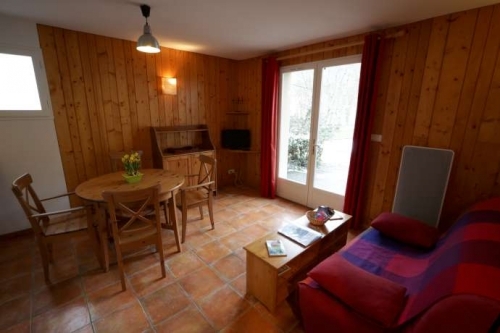 The cosy apartments at Domaine de Ramonjuan are well equipped for comfort and convenience. They all have a kitchenette equipped with 2-ring hob (4 ring hob in “Mesanges” apartments), microwave, small fridge (w/freezer), dishwasher, coffee-maker, kettle and toaster, as well as TV, electric heaters and hairdryer. 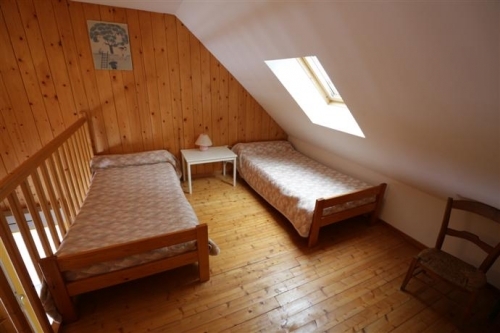 “La Bergeronnettes” 1 bedroom alcove apartment with terrace sleeping 5 (ca.40m2): Open plan living/dining area with a single sofa bed, 1 bedroom with a double bed, 1 small alcove bedroom with bunk beds, shower room & WC (may be separate). 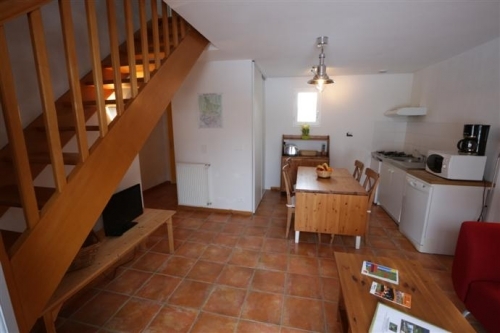 Located on the ground floor with an 8m2 terrace. 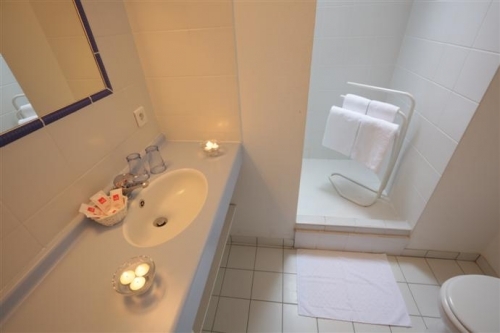 “Les Fauvettes” 1 bedroom mezzanine apartment sleeping 6 (c 60m2): Open plan living/dining area with a single sofa bed, 1 bedroom with a double bed, 1 open mezzanine bedroom with three single beds, shower room & WC. Located on the first floor with balcony and access via internal staircase. “Mesanges” 3 bedroom apartment sleeping 6 (ca.75m2): Open plan living/dining area with sofa, 3 bedrooms (1 large double, 1 small double and 1 twin) each with ensuite shower room and WC. Duplex style apartment located over two floors with entrance from the ground floor with an 8m2 terrace. Well-equipped apartment, bed linen with beds made on arrival (excluding sofa beds), towels, 2 tea towels, end of stay cleaning. Local Tourist Tax: €1.01/person 13yrs 16yrs+/day (guide price). Cots, highchairs (request at time of booking, max 1 per apartment, all subject to availability). Arrival day at Le Domaine de Ramonjuan is any day 16:00 - 21:00 and Departure by 10:00. Recently modernised residence close to the ski slopes, situated on the road leading up to the famed Col du Tourmalet. The resort centre and Pic du Midi cable car are just 500m away. A recently-built ski residence located at 1800m in the heart of the ski resort. 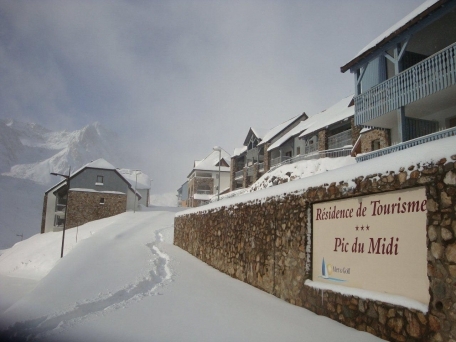 The residence is south facing with views towards the Pic du Midi and the slopes of the Grand Tourmalet ski area. 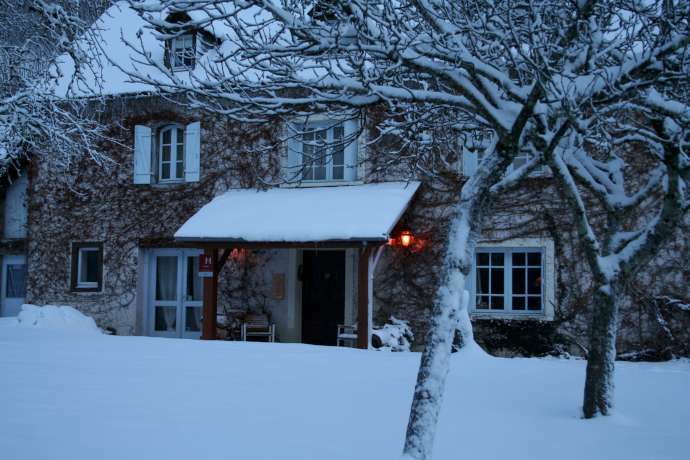 Traditional farmhouse hotel with a relaxed and friendly atmosphere located in the beautiful Lesponne valley just a short drive from La Mongie, part of the largest ski resort in the Pyrenees. 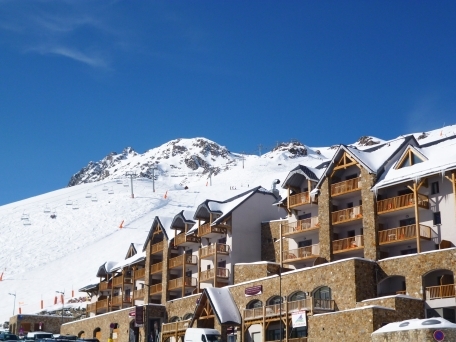 Cosy and comfortable apartments with a relaxed and friendly atmosphere located in the beautiful Lesponne valley just a short drive from Grand Tourmalet, the largest ski resort in the Pyrenees. A hotel night with a difference - enjoy star-gazing under the pitch black skies and amazing sunrises over the Pyrenean peaks before free-riding back to resort (or taking the iconic cable car)!